Watching and streaming free DSTV Channels or Live TV shows on your iphones/ipad, Android phones, Java, Symbian, Blackberry, Nokia, Tablets and PC is quiet entertaining when you use these various apps; Mobdro, Kodi, Ditto Tv, DVB-H accessories like the Drifta Wi-Fi DVB-H receiver, DSTV Mobile Decoder, DSTV StarTimes Decoder apps and many more on your mobile and laptop/pc devices. 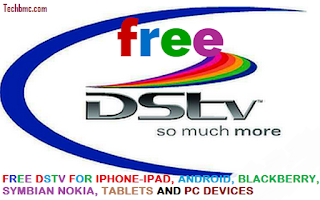 · Android Mobile Device Free DSTV Channels With Mobdro, DiTTO Tv etc. · Lastly, how to watch free DSTV on Blackberry Devices. Kodi is a software developed to entertain laptop and Tablet users for watching and accessing of free dstv channels, whether at home or in the office. The latest Kodi Free Dstv channels 2017 is designed with awesome features that will enable users enjoy the software in fullest. Kodi is also made available on Android, linux, mac OS X, iOS and as well windows operating systems,that are running on most common processor architectures. >>Click here to download and install Kodi SoftwareFree. After you must have downloaded the kodi on your computer from above link, just same way you do install every other software/application on your pc, do same for kodi. And after a successful installation, open it and explore as you so wish. · Now open the software, and click on videos located on the home screen. · From the next screen that displays or pop up, select video add-ons. After the successful installation of the add-on above, you will get to see “Enabled’’ right in front of the media add-on, or a message indicating the successful installation of the add-on located at the bottom right corner of your computer’s screen. You can also repeat the procedures above in order to add another add-on of your choice. 2. Now click on “videos” and then click on add-on. 3. Once you choose the add-on, it will start playing. Iphones and ipads devices are unlike other devices that comes with a DVB-H receiver built-in. They don’t have such tools, and so for this guide to work, you need get an additional DVB-H receiver which will enable the DSTV Mobile on your iOS device. Here we are going to show you two ways available for connecting ipad and iphone to a DSTV Mobile. The first tool happens to be iDrita, which receives the DVB-H signal and same time pipe it to your iOS device through Apple’s standard 30-pin connector. Most of iOS devices features the lightning connector, devices like Red iphone 7 plus, iphone 8, iPhone 6, iPad Mini 3, and ipad Air 2 DSTV Mobile is supported on iPhone 4, iPhone 4S, iPhone 5, iPad, iPad 2, iPad 3, iPad Mini, and iPad 4. etc so they also need an Apple 30-pin to lightning adaptor. This calls for buying them in any online or offline Apple Stores, or from iphone accessories business centers. 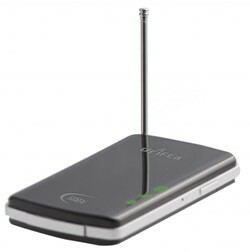 Talking about the second accessory called Drifta Wi-Fi, it is similar to iDrifta, just that it broadcast the DSTV Mobile signal to your smart iphone or ipad over Wi-Fi connection. While the other (iDrita) doesn’t do that. I prefer and recommend Drifta for you because it doesn’t restrict iOS devices when on use. Although, Drifta can be used with most pc, tablets and smart phones as well. Now proceed to get Drifta if you prefer it over iDrifta and then follow below guide to watch free DSTV channels just with your iphone and ipads devices. Check Out Top 5 Nigerian Sites To Download Nollywood and Ghanian Movies on mobile and PC Devices. 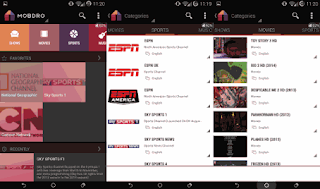 HOW TO WATCH DSTV CHANNELS WITH ANDROID DEVICE FOR FREE WHETHER AT HOME OR OFFICE WITH MOBDRO APP AND DITTO TV. And many more you can ever think of. >> Download and install the latest Mobdro App From Google play store. Once you are on the process of installing it, the app will direct you on what next to do. That’s all for that. Now you can relax and enjoy watching movies, News broadcast etc from different channels in mobdro. The app also has premium version, where you can pay before you can have access to the channels. So it means, you need to unlock the locked channels when you subscribe with money. That’s all for offline and online streaming with Mobdro application. For Nokia Symbian users who are searching for how to watch free DSTV channels on their device, here is one. Nokia Symbian phones happens to be the first smartphones to support the feature of DSTV MOBILE, some of its device like, Nokia 5330 has buit-in DVB-H receiver, unlike Apple iphones and ipads that doesn’t have it, as mentioned above in the iphone dstv section. In other to watch free DSTV on your Nokia Symbian, you also need to get a DVB-H accessory like Drifta Wi-Fi, for those device that doesn’t have the built in DVB-H receiver. Below are most of the Nokia Symbian phones that should support this DSTV Mobile. · Nokia N8, N97, N97 Mini, N95, 808 Pureview? Just like iphone and ipad devices, you will also need to download and install the DSTV Mobile Decoder App from Nokia Ovi Store. >> Click here to download the DSTV Mobile Decoder App on your Symbian phone. 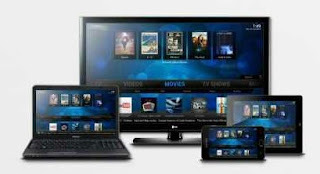 Enjoy and catch fun watching Tv with your mobile phone. Blackberry users can as well download DSTV App for their devices just as other devices. This Blackberry application for DSTV lets users to view and schedule shows on most of the channels the app has. In other words, you can set reminders for any special show you don’t want to miss on any TV programs, and get notified in return. The blackberry streaming app for DSTV turns out to be free and also to be subscribed for. When access the app, it gives you the option to sort the channel list based on the bouquet you subscribed for and so as to enable you not include shows which you wish not to watch. Also, you are able to sort some channel or show listing depending on the country you are operating or accessing the app from. Downloading the DSTV app goes for Blackberry 10, Q10, Z10 plus SuperSport and many other blackberry devices. You can as well watch live videos, matches on football, check sports highlights and news with SuperSport App for blackberry devices. >> You can download both Blackberry DSTV App and SuperSports App on Blackberry App world. Go to the site and search for it. In summary, All fellas of Iphone/ipads, Android, Nokia, blackberry tablets and pc devices can now watch free online and offline DSTV or TV shows with the help of application specified and recommended for your various devices. So, you peeps can now seat and relax in your various houses and offices having your device connected to your special and cherished Tv shows. Don’t enjoy alone, share this post with the share buttons on this blog. And if you got any question or contribution, kindly share with the below comment box. Thank you.